Orthodontics is primarily concerned with improving the position of your teeth and correcting any malocclusion or the general misalignment of teeth. 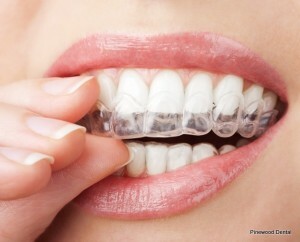 Orthodontic treatment is a way of straightening or moving teeth to improve its appearance and how they work. By spreading the biting pressure over all your teeth, the health of your teeth, gums and jaw joints will considerably be better. There are many people who have crowded or crooked teeth. Orthodontic treatment will straighten the teeth and move them into a better position. This way the appearance and the way your teeth bite will make them easier to clean. Some people have upper front teeth that stick out slightly protrude. This may cause some discomfort and some feel uncomfortable when smiling or laughing. These protruding or prominent teeth are possibly damaged, but orthodontic treatment can move them back into correct alignment. Another is when how the way the upper and lower jaws meet can cause teeth to look unsightly and lead to an incorrect bite. These can be treated by an orthodontist. When your teeth don’t meet correctly, the muscles of the jaw may get strained resulting to jaw and joint problems and sometimes headaches. Orthodontic treatment can help you to bite more evenly and reduce the strain in your jaw. The first and most important thing to do is to have a full examination with your dentist. Your teeth will be checked by taking dental x-rays and making plaster models of your teeth. We will then discuss what the best treatment is for you. During your orthodontic treatment, always take care to follow your dentist’s home care instructions. Your teeth can be damaged if you don’t look after them properly during treatment. The braces themselves will not cause damage, but poor cleaning and too many sugary foods and drinks can cause permanent damage to your teeth. Brackets, wires and braces can trap food and cause more plaque than usual to build up. So you need to clean your teeth and appliance very thoroughly.